Response to the new Xara Web Designer has been great, sales better than even we hoped for, fantastic customer feedback and some great reviews starting to come through now. We have a short tutorial on creating custom drop down menus, plus new movies and a free update to the software, more details below. We promised something new and exciting for this month’s graphic design contest and here it is: 6 winning images will be included in a new guide to Xtreme to be published by McGraw Hill, as selected by a panel of respected industry figures. Find out more below. We're making a dramatic cut in the price of Xara3D. There is now a download only version available at an introductory price of just $29 USD. This is the latest Xara3D version 6. So if you want to find out why Xara3D remains our most popular product, now is the moment to grab the latest version at nearly half the old price. Plus there's a new version of the German MAGIX 3D. And Gary has a great Xtreme tutorial! This month's Inspirational Art is a class of artwork we've not focused on before, but at which Xara Xtreme excels, with many professional designers using only Xara Xtreme to create their artwork. We're talking about icons. Creating miniature drawings is a very specialized art. We showcase some amazing icon artwork from four different designers this month. 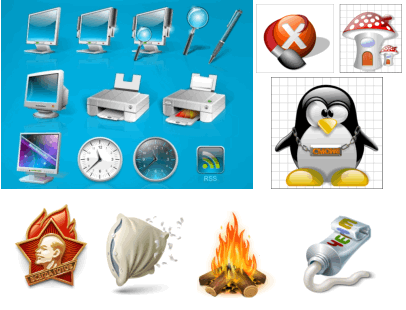 The high quality of Xara's anti-aliasing helps make it the perfect product for icon creation. We promised you something different for our contest this month but maybe you weren't expecting this! Both a new book on Xara Xtreme from popular author Gary David Bouton and the chance to have your work featured in his book. 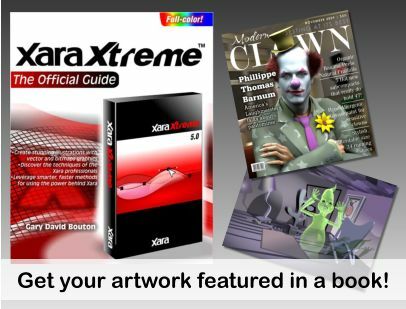 You have until June 15th to create and submit your artwork - a new work on any subject and in any style of your choice, created in Xara Xtreme, and soon you could see your work published! 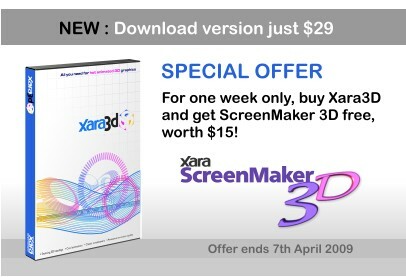 Just launched, a download-only version of Xara3D 6, at the great low price of just $29! xara.com/xara3d. Just launched, a retail boxed version of MAGIX 3D, the German language version of Xara3D 6. It's a bargain at just €29 and there's a completely new website to go with it - check it out now: Mehr Infos. There's a free update to Web Designer, simply click the Update Program option in your help menu to download it now. You can find more details in the support section of our website. 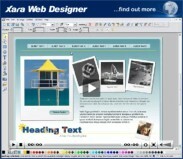 Xara affiliates can now add Xara Web Designer to their program. Simply sign in to your account on xara.com and follow the links to the Affiliate Program. Don't forget, any Web Designer owner can quickly and easily join the affiliate program (and earn 20% commission on any sales) by selecting Help > Affiliate Program. 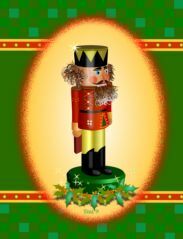 Congratulations to Susanne Denick, a worthy winner of the Christmas theme contest, as decided by the popular vote. "Superb value at £39.00, Xara Web Designer should be the first port of call for anyone who wants to build a good looking brochure-style site without knowing anything about coding." Recommended. "This is an excellent application for designing your own website, particularly if like the idea of doing it yourself." 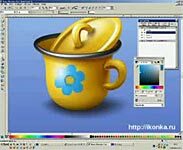 Did you know that the .web file, which is the native file for Web Designer, is really exactly the same as a .xar as used by Xara Xtreme? This means you can open .xar files in Web Designer and .web files in Xtreme (although the new features of Web Designer, such as Soft Groups, will not be supported by Xtreme V 4). The Text Tool, Button Bars, resizing pages, flowing text around objects and photo handling. On the subject of creating icons, don’t miss this classic movie from Ikonkaru.